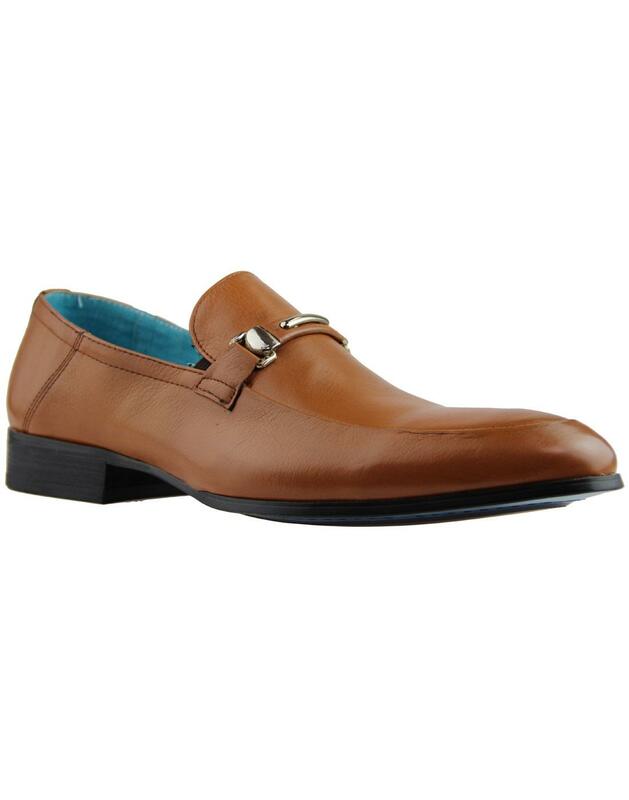 Paolo Vandini 'Trevor' men's classic mod leather loafers in tan with a slight vintage burnished effect. Incorporating a stylish retro buckle strap apron with stylish metallic trims for a dressier take on the traditional penny loafer silhouette. Classic retro round nearly pointed toe, sleek panel construction and neat block heel. 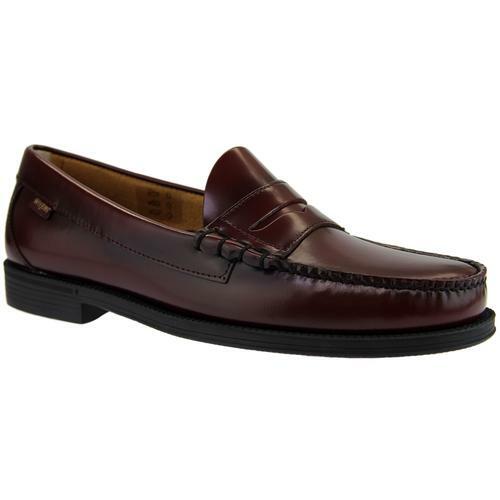 These Paolo Vandini 'Trevor' men's mod loafers look great with smart or casual ensembles. 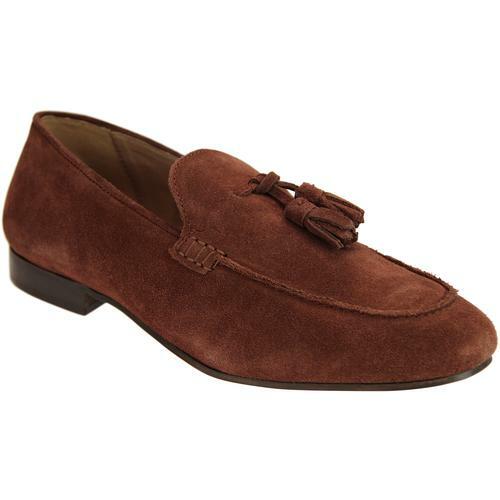 A real versatile footwear essential - Trevor Loafers from Paolo Vandini. 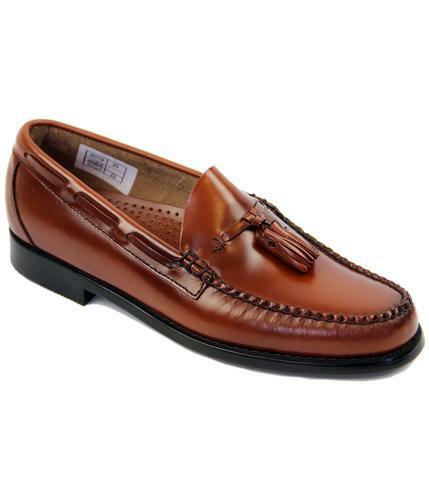 - Paolo Vandini 'Trevor' men's 60s mod slip on loafers in tan. - Slight burnished distressed leather finish. - Metallic trims to apron strap. - Retro colour pop interior trim. 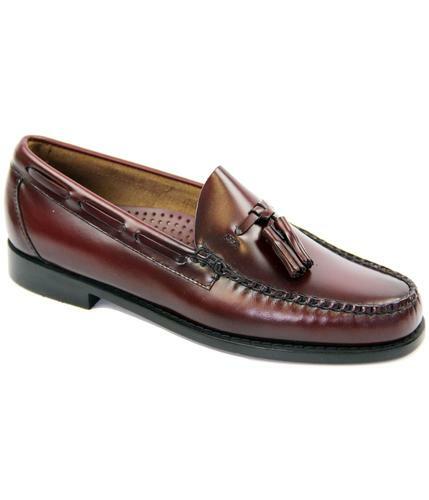 - SKU: Trevor Slip On Loafers. Composition: Leather upper, other outsole.